hardcover, 35.00 USD per book. Maximum of 10 books per order, please. ARTHUR FIRSTENBERG is a scientist and journalist who is at the forefront of a global movement to tear down the taboo surrounding this subject. After graduating Phi Beta Kappa from Cornell University with a degree in mathematics, he attended the University of California, Irvine School of Medicine from 1978 to 1982. Injury by X-ray overdose cut short his medical career. 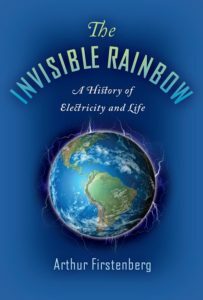 For the past thirty-five years he has been a researcher, consultant, and lecturer on the health and environmental effects of electromagnetic radiation, as well as a practitioner of several healing arts. Payments from the U.S. or Canada may also be made by check. Send checks in U.S. dollars to: Arthur Firstenberg, P.O. Box 6216, Santa Fe, NM 87502. Within U.S. add $10.00 shipping per order (not per book). Within Canada add $28.00 shipping per order. Payments from other countries must be made on this webpage.